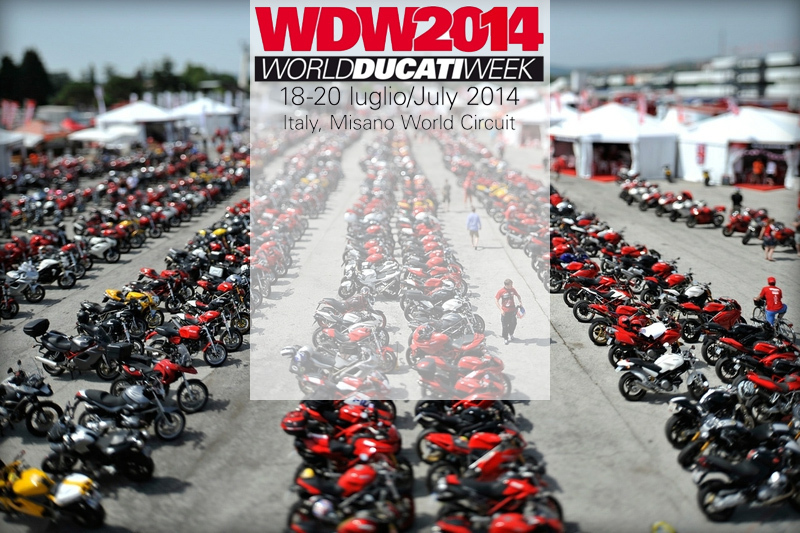 Events | Ducati Sporting Club – Blogs! Ducati Sporting Club – Blogs! Posts related to events such as trackdays, rallies, shows, meetings and the like. WDW2014 – The Countdown Begins! Now that it is July, WDW2014 is fast approaching so I thought that I would blog about the run up from the chairman’s point of view. As some of you already know, each year Ducati put on a “World President’s Meeting” (WPM) which is a chance for all of the presidents of the official clubs around the world (over 250 clubs) to get together and share their experiences of participating in and running a Ducati club, and to help generate new ideas, all with the help of Ducati themselves. The WPM usually lasts for 5 days and culminates in a big meeting with Ducati staff and presentations about how Ducati has done over the past year and also what is coming in the future. Those 5 days are spent riding on a tour with bikes provided by Ducati, taking in the scenery and culture and generally living the Ducati dream! The first (and only!) WPM that I attended was in 2012 as this coincided with WDW2012 and it was too good an opportunity to miss as it would allow me to network with the other club presidents and get more of an insight into what other clubs did as well as to guage how good we, the DSC, are as a club, and then attend WDW at the end which I had wanted to do for many years but had never been able to. Suffice to say that I made some great friends on our little tour through Italy and the experience of WDW2012 was one that I promised myself I would definitely repeat as soon as I was able to. Unfortunately the cost of WPM is prohibitive to allow me to attend every year (2013 was €900 excluding flights!) but I didn’t want to miss out on WDW2014 so I booked my place on WPM for this year even though it meant counting the pennies more than usual as it all comes out of my own pocket. For this WPM we are starting in Vienna on Sat 12th July and will be travelling through Austria before heading over the alps and down into Italy to finally arrive at WDW the day before it starts, so for me this WDW adventure begins the weekend before. The good thing about doing WPM is that I can fly over and presidents are allocated a bike to use for WPM, which also allows us use of them during WDW. On returning to the factory in Bologna on the Monday after WDW we then say our goodbyes and fly home from there. This saves me the extra days slog of riding halfway across Europe, but I also miss out on what could be a great adventure. So keep watching the blogs as I will be updating it whenever possible to share the experience of both WPM and WDW!